Eric is a California native aerialist with a penchant for combining strength with drama. Having trained in various aerial apparatuses such as silks, Lyra, and straps for the last five years, Eric has a variety of skills to work with depending on the image he is portraying. 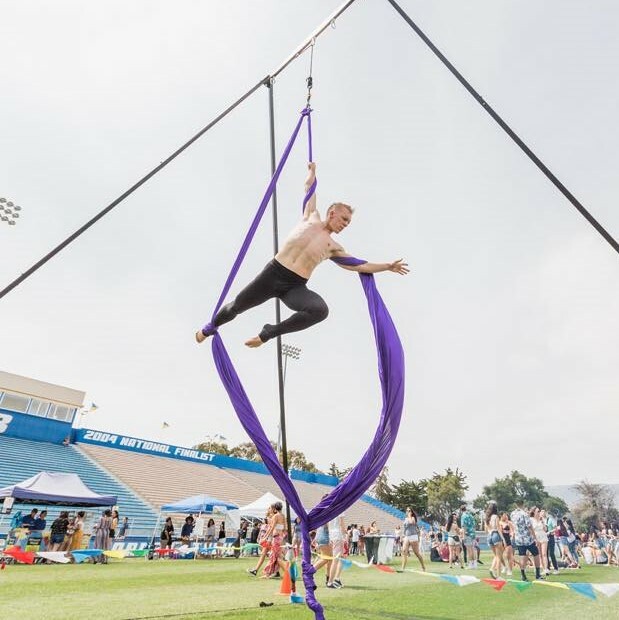 From performing in personal events to festivals, Eric is ready to share his aerial passion and talents with Lucidity for the first time, both as a performer and participant!